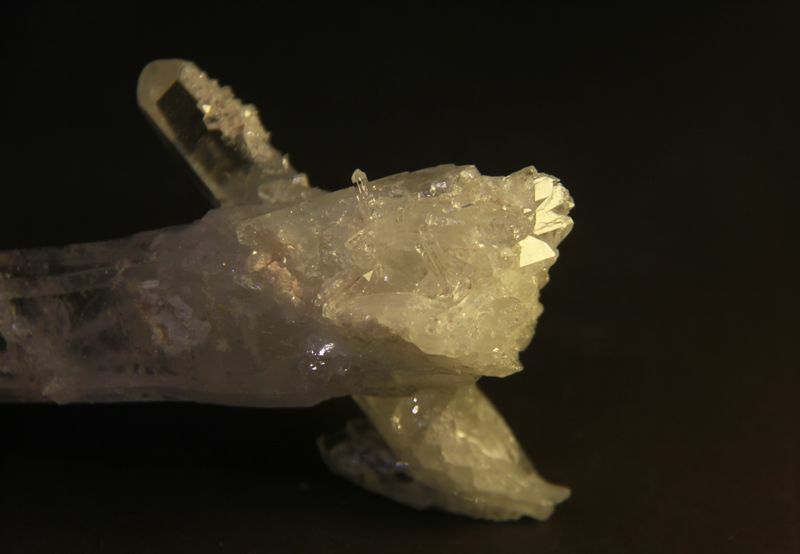 Quartz from La Belleza, Vélez, Santander Department, Colombia. (Nº-37). Couple Quartz crystals clearly a victory sign. One of them with white phantom geometrical inclusions. This inclusion takes well defined forms. Couple Quartz crystals clearly a victory sign. (Nº-37). One of them with white phantom geometrical inclusions. This inclusion takes well defined forms. (Nº-37). 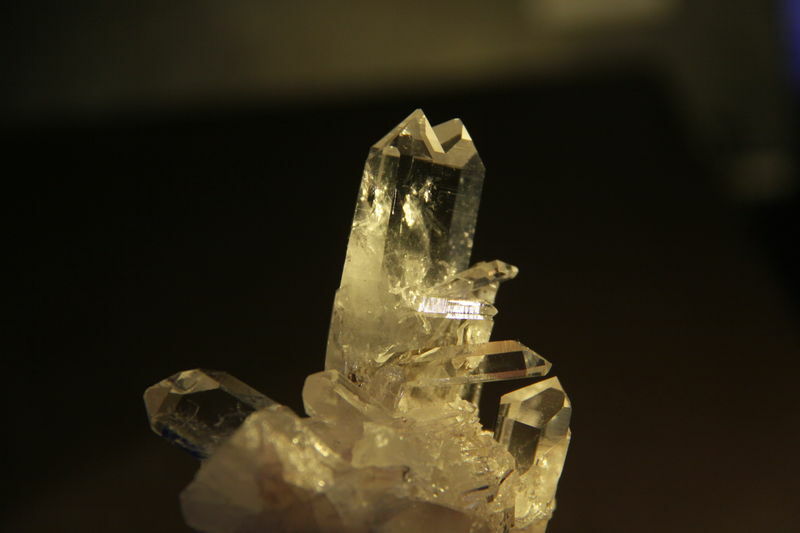 Quartz from Muzo, Boyacá Department, Colombia. (Nº-25). 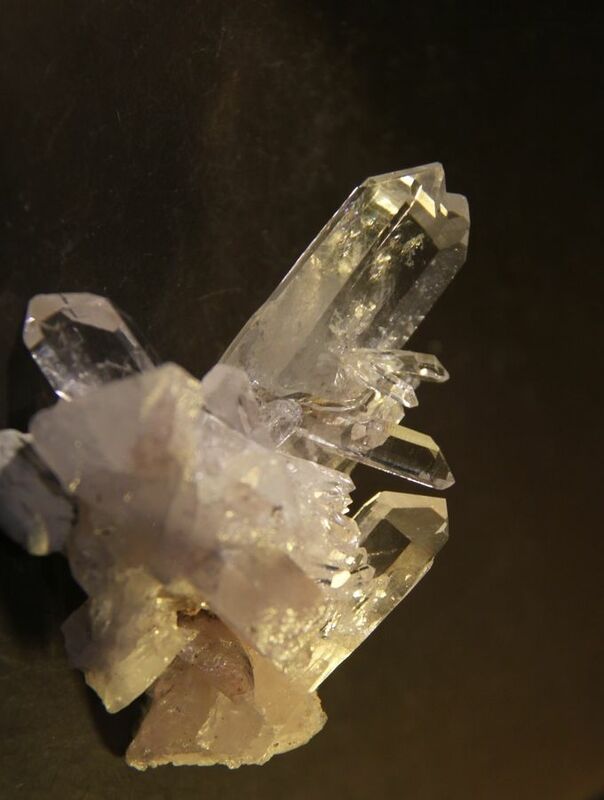 Cluster with two main Quartz brothers crystals and many smaller some of them doubly terminated. 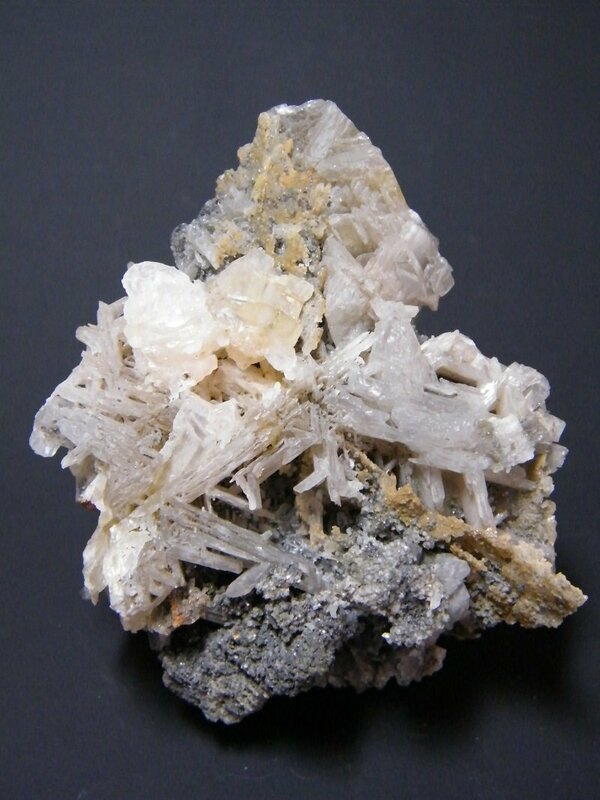 Cluster with two main Quartz brothers crystals and many smaller some of them doubly terminated. (Nº-25). 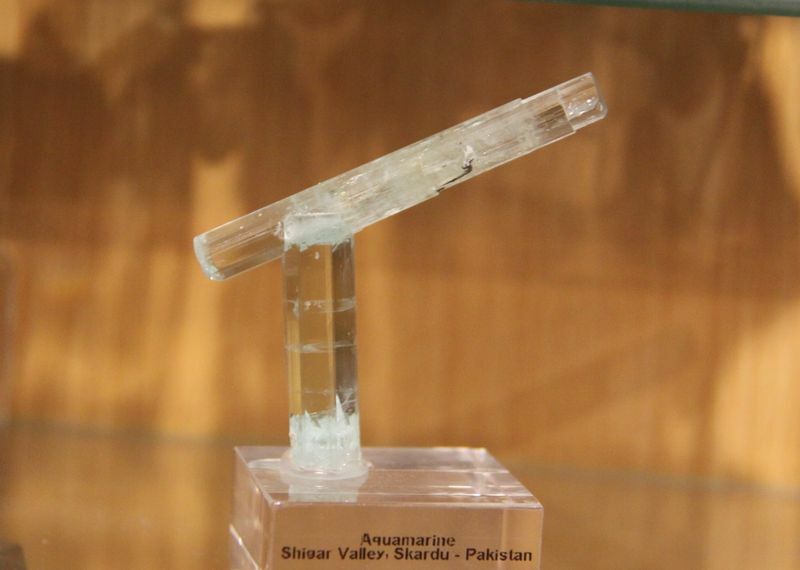 Aquamarine from Shigar Valley, Skardu, Pakistan. 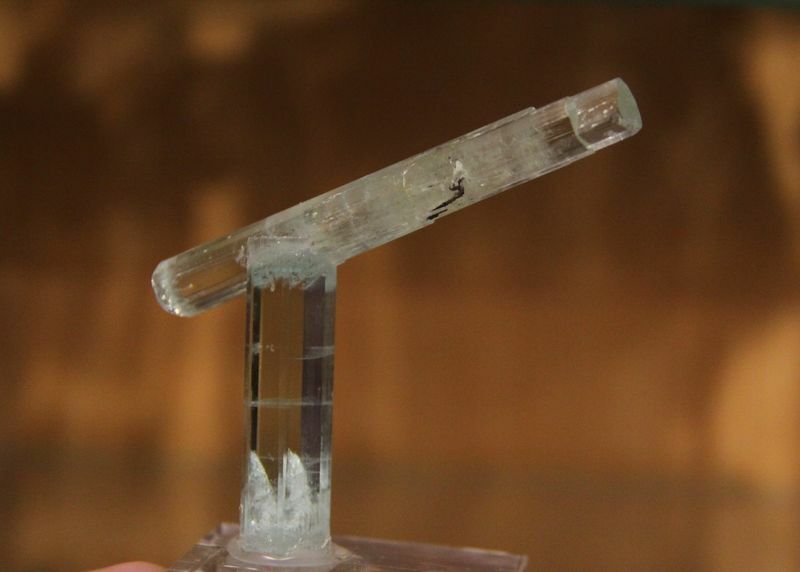 Group of two Beryl (aquamarine) with a doubly terminated crystal settled on the termination of the vertical one, looking like a tower crane. The vertical has well defined faces and edges and shows a clear and subtle blue aquamarine color. 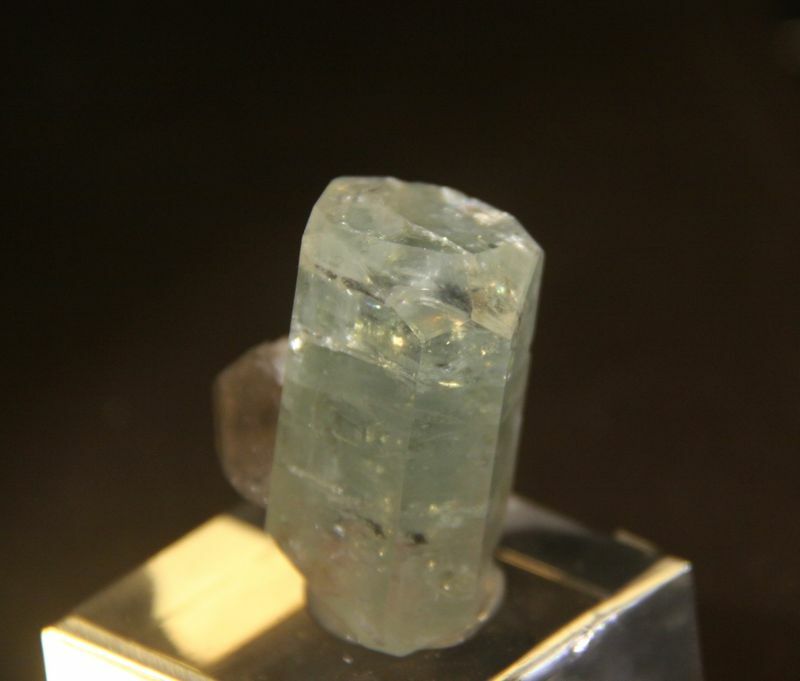 Group of two Beryl (variety aquamarine) with a doubly terminated crystal settled on the termination of the vertical one, looking like a tower crane. 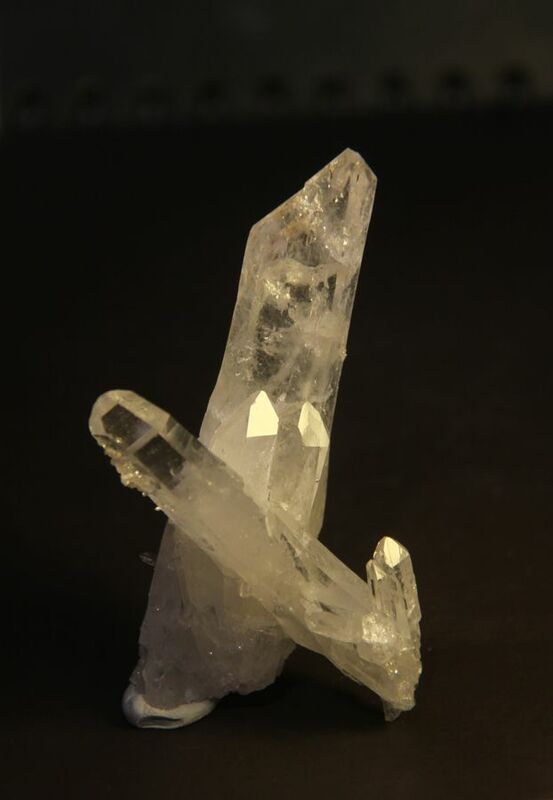 Quartz from Muzo, Boyacá Department, Colombia. 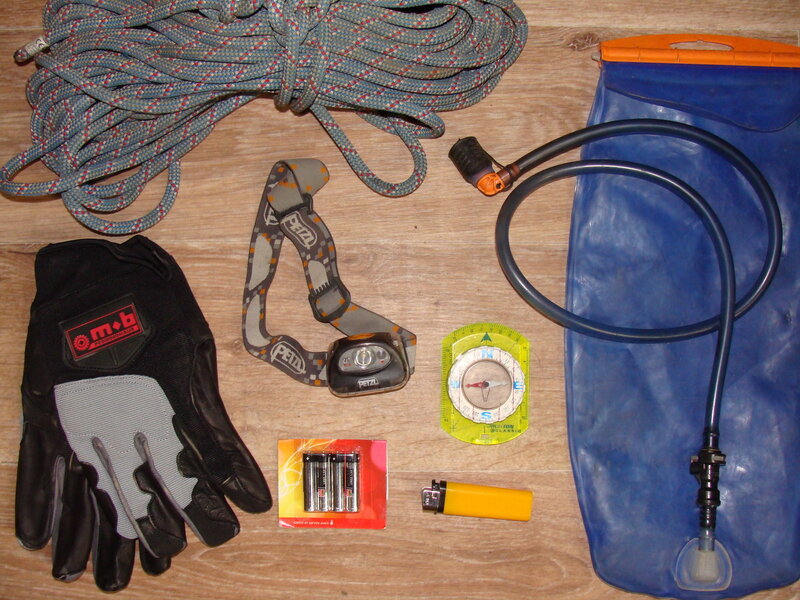 (Nº-8). Two slim crystals arranged in V with sons all around the main. 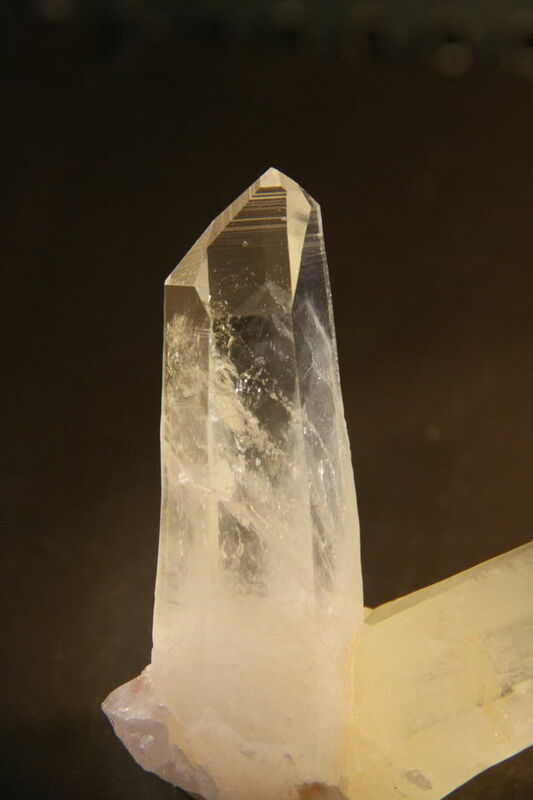 There are many terminations in a point of the largest crystal. 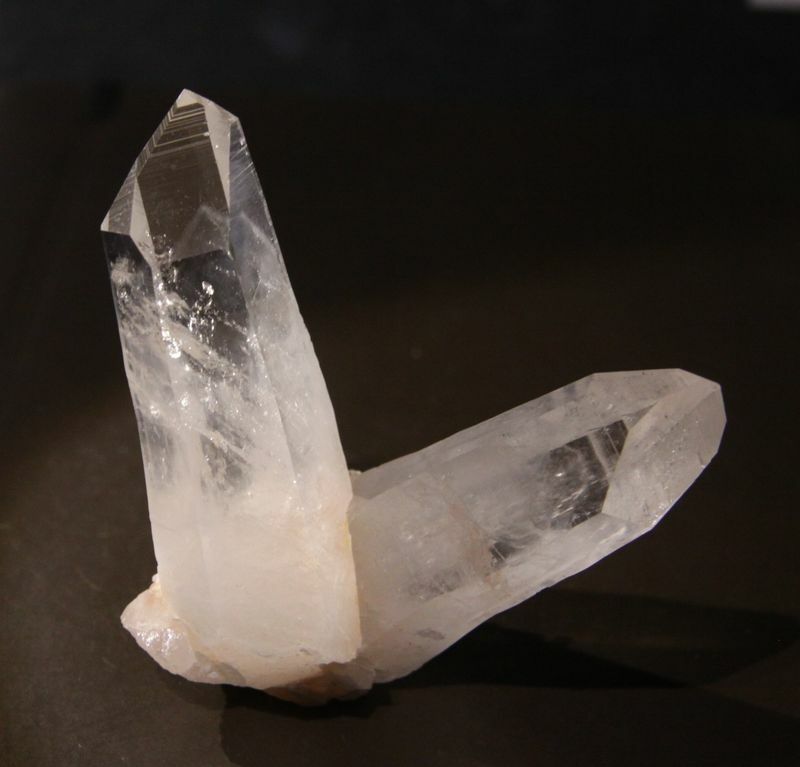 There are many terminations in a point of the largest crystal. (Nº-8). 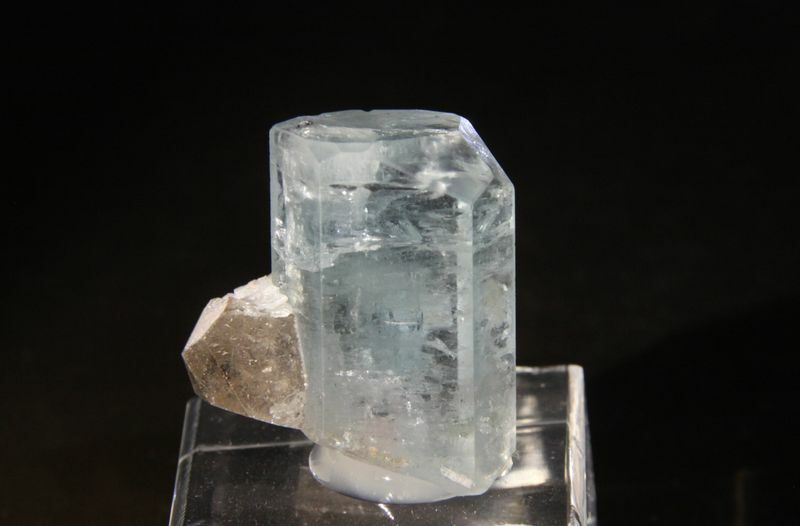 Aquamarine with smoky Quartz from Erongo, Namibia. 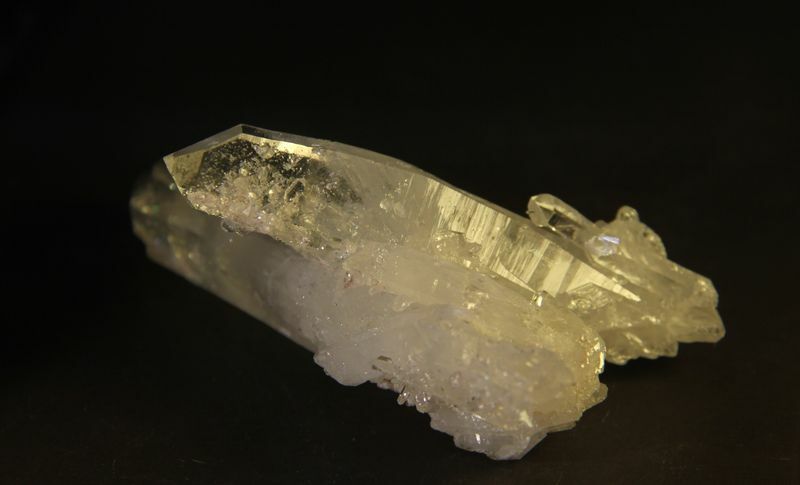 Light blue hexagonal aquamarine crystal with smoky quartz. The top is rich in faces, two of them symmetric with a bevelling in both. 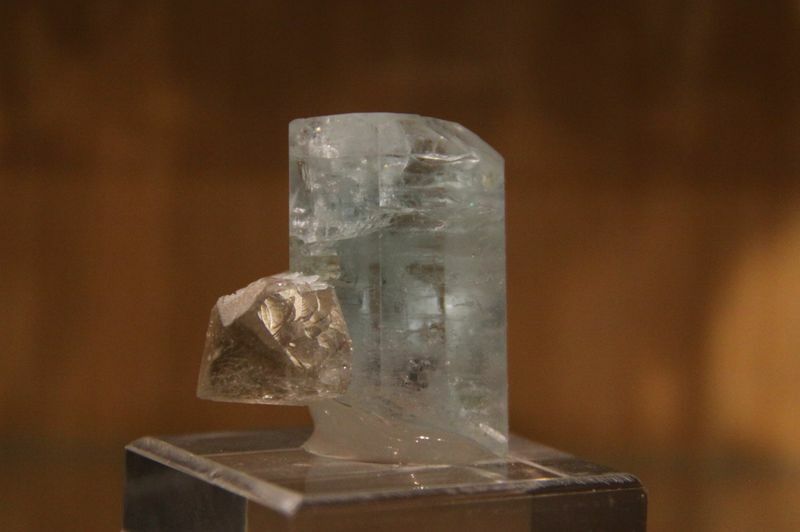 A Beryl from Namibia dedicated to the memory of our fellow Heimo Hellwig, who showed us some wonders of this usually unknown country.